We have some featured headlines below, please scroll down to see them. Copyright 2006 All rights reserved. The Leland logo is a registered trademark of Leland Limited Incorporated. Terry Price of Orange County stopped by the booth at the Medical Design and Manufacturing Show in Anaheim. Terry discussed the various educational opportunities his students have as well as several designs and applications for Leland's Gas Technologies. 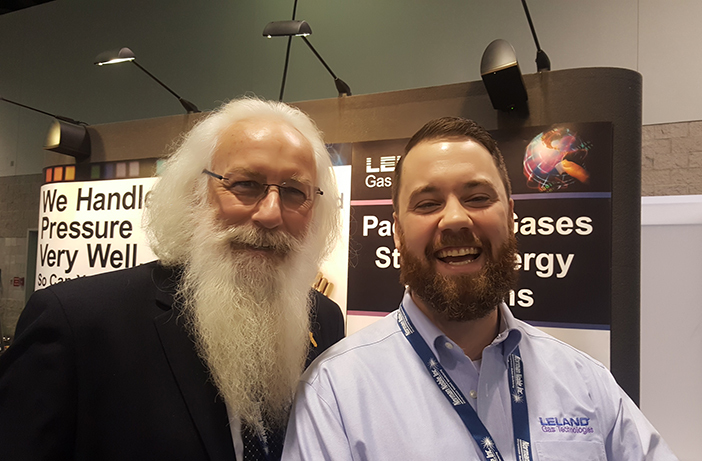 Also pictured is Josh Harvey, a Leland lifetime employee specializing in Argon leak detection for medical gas cartridges. We Wish You, Your Colleagues and Family A Joyous Holiday Season and A very Happy New Year! Our Team Holiday Dinner Party. 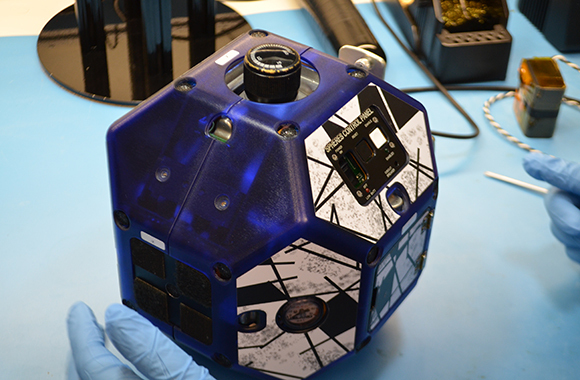 The SPHERES program consists of 3 free-flying robotic satellites have been operating on board the International Space Station (ISS) for more than a decade to conduct science and test a diverse range of hardware and software. One of them, identified as “blue," was recently found to have some issues with its propulsion subsystem. One of its thrusters was not operating nominally, resulting in having to be returned to Earth, on the Space X 9 Dragon cargo module, for inspection and repair at NASA's Ames Research Center in California’s Silicon Valley. The SPHERES engineering team collaborated with the Massachusetts Institute of Technology (MIT) to bring “blue” back to functional, again. The long awaited addition to Leland's South Plainfield facility made a progressive step today as the building steel was delivered to the site. Ground clearing and site work will be underway as soon as the County of Middlesex issues their final approval documents. 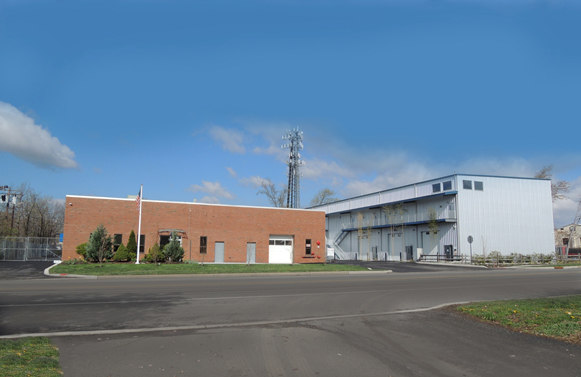 The addition shown below in grey, will provide needed space for an improved R&D and engineering suite as well as an increase in production capacity. 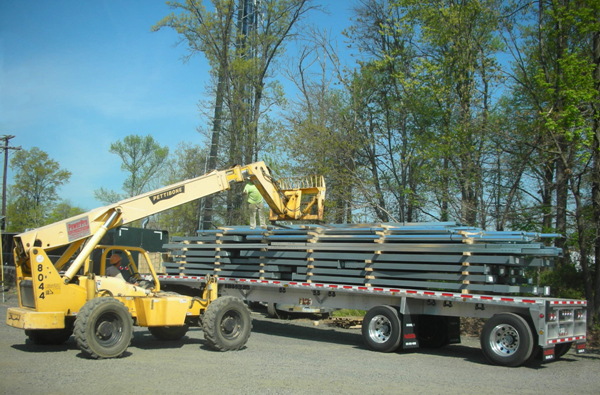 Leland operates 2 facilities in New Jersey and is expanding at a rate of 15% per year. Manufacturing in New Jersey does exist! Rust prevention perfected for boaters. South Plainfield, NJ- Leland Limited’s Maximum Inflation® brand of marine products has developed reusable poly bags which prevent rust on steel tools and parts without using environmentally damaging oils. A typical mariner is all too familiar with a tool or tackle box full of rusted items. Traditional rust prevention for steel parts and tools in the marine environment meant spraying oils onto the metal surfaces and then wiping off before use. Items such as hand tools, fishing hooks, screws, nut and bolts are constantly being discarded due to rust. Leland® solved this as corrosion inhibitors are lined on the plastic sheeting that make up the bag. In the package environment these inhibitors surround the parts and volatilize to form a protective molecular layer. When these chemicals volatilize, they release vapors which are attracted to the metal surfaces due to their polar orientation. The corrosion inhibitor molecules align on the metal surfaces to a depth of three to five molecules migrating into recesses. This layer of molecules passivates the charged surface and creates a barrier that prevents oxidation. 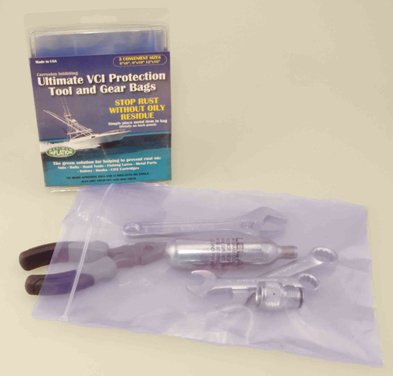 Protected parts are easily removed from the bag and are ready for immediate use with no smell or residue. After use, dry parts can be put back in the bag for continued protection. Leland® developed this out of necessity for their own business of making steel CO2 cylinders for marine inflatable life jackets. In the manufacturing line, the raw steel cylinders rust very quickly without any protection. Rather than follow a traditional oil bath method for rust prevention, the company choose an environmentally responsible way to protect their steel goods in process; to place the raw steel cylinders into these bags for transport and storage prior to electroplating zinc as the final protective step. An assortment of 3 bag sizes are provided in the kit which retails for only $12.95. It can be purchased from Leland on their marine site: www.MaximumInflation.com/sea_new.html or contact Frank Solazzo at 908-561-2000. 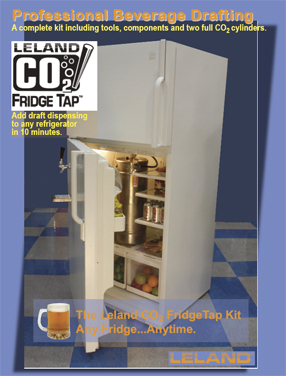 Leland introduces the CO2 FridgeTap®. A beverage dispensing faucet for beer or soda on the outside of the refrigerator is not entirely a new concept; there have been devices known as ‘kegerators’ for years, which are essentially dedicated refrigerators for kegs. The problem is the ‘dedicated’ part; no room for anything but a keg and large gas cylinder. In most households, someone has already claimed a majority portion of the inside space of the household refrigerator. So kegerators are not the family friendly devices they were touted to be during the purchase decision process. Leland Gas Technologies makes the CO2 FridgeTap® as a completely assembled kit that can be installed into the door of most refrigerators in about 10 minutes. The kit is extremely compact and comes with everything needed to make the installation complete except for the beer or soda keg. A key component is the gas regulator to control the pressure of the small CO2 cylinder. Each of the supplied CO2 TapGas cylinders are brewery approved beverage grade gas that will preserve the beer or soda for weeks as well as push it through the chrome plated faucet. Every bar and restaurant uses CO2 in large tanks to preserve and push beverages. All of the equipment in this innovative kit is commercial grade from the restaurant industry. Leland has been recognized for a secondary benefit coming from the use of the CO2 FridgeTap® product; reduced waste and recycling needs. According to EPA statistics, only 35% of all recyclable items are captured for processing in the US. Bulk beverage kegs are returned to the beverage factory for cleaning and refilling. One full sized keg (1/2 barrel) holds 15.5 gallons or 165 12oz bottles of beer. 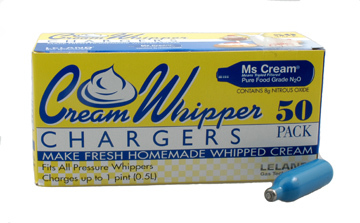 Leland, known for the popular site MrFizz.com, has been producing products which use small recyclable steel cylinders filled with gas for uses such as seltzer bottles and whipped cream makers since 1965. The new Leland CO2 FridgeTap® is being placed in the major housewares department, specialty gift shops and select beer and wine outlets throughout North America. The entire Leland CO2 FridgeTap® has a suggested retail price of $329.00 and comes with two CO2 TapGas® cylinders, a stainless steel drip tray, heavy duty gas regulator and even a specialized 1.0” diameter hole saw to facilitate installation. The aforementioned extras in the kit have a retail value of over $220.00 alone making the entire package a great deal with many benefits. Summer paintball games can be safer for children. South Plainfield, NJ – Paintball has become a major sport that most children long to play well before their parents will give them the green light to do so. Safety concerns about the handling of a high pressure CO2 cartridge often prevent most children from even starting to play the sport until they are much older as concerned parents do not want that type of risk for their children. All paintball markers need a gas power source to make the paintball fly out of the paint marker and the standard gas of choice is CO2. However, CO2 is under high pressure; about 850 psi in the shade and heated up, the pressure can get well over 3,000 psi. To put that in perspective, a car tire holds 35 psi of air pressure and an aerosol has as much as 90 psi. A CO2 cartridge will normally rupture open in a violent release of energy if it becomes overheated and can easily become a dangerous and unpredictable projectile. For parents in the know, Leland’s Special Force® brand of 12g CO2 cartridges are fitted with a patented safety cap, which prevents the CO2 cartridge from rupturing if it becomes overheated. This patented safety cap on Special Force® brand CO2 cartridges is the only pressure relief device a CO2 cartridge can have that allows the high pressure gas to vent safely and without the cartridge from becoming a projectile, which is the main cause of rupture related injuries. 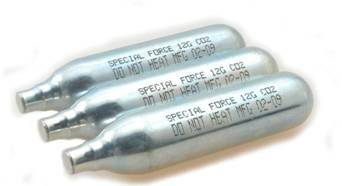 Leland has been in the gas cartridge business since 1965 and has been producing the Special Force® brand of CO2 cartridges for decades primarily for the US Military. Now Leland sells to select paintball and sporting goods retailers in the US and Canada and offers an online solution through the company’s sponsored web portal http://www.gftactical.com/. The Special Force® brand of 12g CO2 cartridges is currently the only brand in North and South America featuring the patented safety cap. It is worth checking out, especially if you are concerned about the safety of the young paintball players in your home. 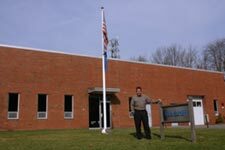 General information about Leland Limited, Inc is available at www.LelandGas.com. May be reprinted or edited without permission from the author. Special Force® is a registered trademark of Leland Limited, Inc.
South Plainfield, NJ – Leland, a long time supplier to the foodservice industry announces the introduction of their 50 pack package for 8 gram N20 cartridges. Traditional N20 cartridge packaging has been limited to 10 and 24 piece boxes which work well for low volume users. Coffee, Ice Cream and Institutional customers have significantly increased their usage of whipped cream based topping and many have also added Espuma foam texture garnishes to many dishes. The 50 pack is the perfect solution for these high volume users. There are 12 boxes of 50 per master carton. The cartridges are packed lying down in the box for easy handling. Rapid Inflatable Spill Containment devices (RISC) are now being deployed by various motor carriers and soon the DOD. The idea is simple; to contain a diesel fuel leak from a big rig. These devices utilize our 265g CO2 filled cylinders for rapid inflation. The user just places the fuel resistant package under the tank and pulls the cord. 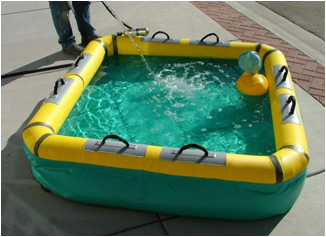 The device inflates in seconds and prevents environmental damage. The secondary benefit is that one use can save the operator huge clean up fees. Gases and Instrumentation published a paper written by Leland Stanford, President-CEO of Leland Limited Incorporated, in the July/August 2008 issue. Stanford discusses packed gases and transportation issues as well as the process to have regulators in Washington understand the needs of the public. The full article can be viewed by clicking here. The US DOT has approved a higher filling ratio of CO2 for life raft inflation to meet the requirement of the new US Navy and USAF requirements for one and two man inflatable life rafts. The new programs will also feed the interest of the commercial and recreational fishing markets as small lightweight and affordable life rafts can go into service for many years without requiring a bottle change. The key advantage of the small life raft is that it gets the person out of the cold water which significantly increases the chance of survival. 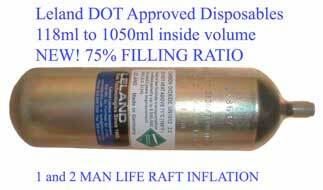 Specific data regarding the restrictions of these 75% fill ratio cylinders can be viewed here. Leland can also fill with high pressure N2 for cold applications. Recent developments in material have also lead to a thinner wall thickness, from 3.0mm down to 2.5mm. Not only is there a savings in weight, but there is the increased inside capacity as well. Operating with three diameters of large cylinders allows many opportunities to design cylinders in custom lengths to meet specific product envelopes. Fire Extinguishers may never be the same! North America may never think about fire extinguishers in the same way again. Companies that can self-service their own fire equipment will stand to save big maintenance dollars. 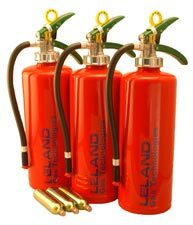 But the real story is that Leland has taken the lead role in the push for North and South America to recognize the importance of cartridge powered fire extinguishers. No leakage and simple maintenance. Here at Leland, we don’t make fire extinguishers, we just make them better. New packaging saves precious trees! Leland has converted many of its paperboard based packages over to recyclable PET packages in a companywide effort to reduce paperboard. This initiative first began by analyzing paperboard consumption for all sold products. 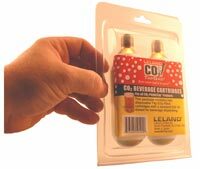 The majority of usage was in replacement cylinder packaging for the popular CO2TapGas® products which support the Leland CO2 PicnicTap® product line. In 2006, the Transportation Security Administration (TSA) in the United States permitted CO2 Cylinders with an inflatable PFD to pass through their security checkpoints, only to revers≠e that decision roughly 45 days later when the liquids and gels terrorist plot broke open. Effective August 4, 2007, the TSA again permits the CO2 cylinders with an Inflatable PFD through their security checkpoints. The permission process this time went through the White House and Congress. It is expected that this approval will stay in place much longer due to a much broader approval process. Remember though, it is still each airlines choice whether to allow these on their airplanes and each sets their own policies (roughly 1/2 allow them and 1/2 don't). Check with your airline (and connecting or return flights) or their websites to make sure they allow them before you travel. The ultimate in precision gas pressure regulation! 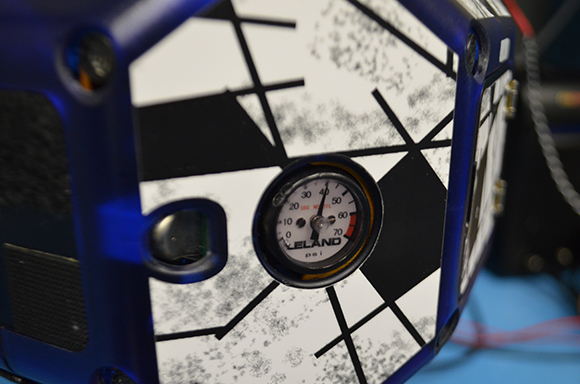 Leland has just released a custom 2-stage regulator which can be ordered in many different configurations. The second stage regulator shown on the left is attached to our NR24 series fixed pressure device allows disposable gas cartridges to now be used in many fields demanding such accuracy. Fine wine is preserved and so is your integrity. Leland gets ready to break ground on a new facility. 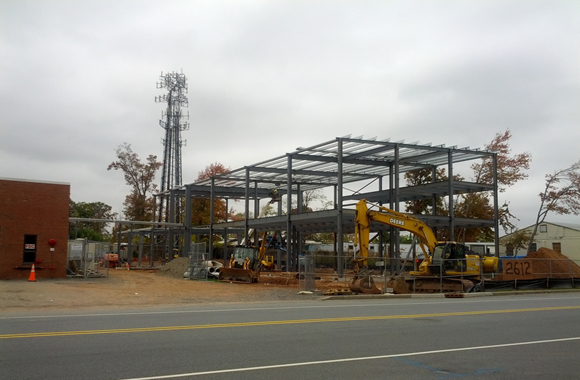 Leland’s gas technologies are expanding rapidly. The company will be making significant announcements in Spring 2009 regarding its Medical Device status. In order to accommodate our growth, a 22,000 sq foot facility expansion is now being approved by local government authorities. This expansion will be the focus of medical gas and calibration gas filling technology. Since 1989 Leland has supplied NASA with disposable pressure vessels for inflatable items. Recently developed repair kits for EVA use have included special Leland high pressure nitrogen bottles. 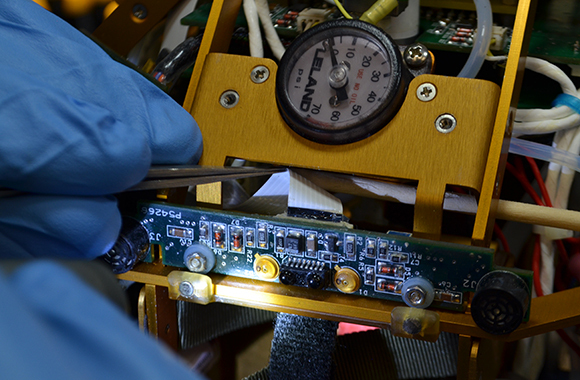 Made to exacting specifications, these high pressure pneumatic devices help clean and repair items on board and on the exterior of the ISS. Recent missions in late 2006 have included up to 35 Leland gas items. Ultra High Pressure gas filled cylinder products debut. 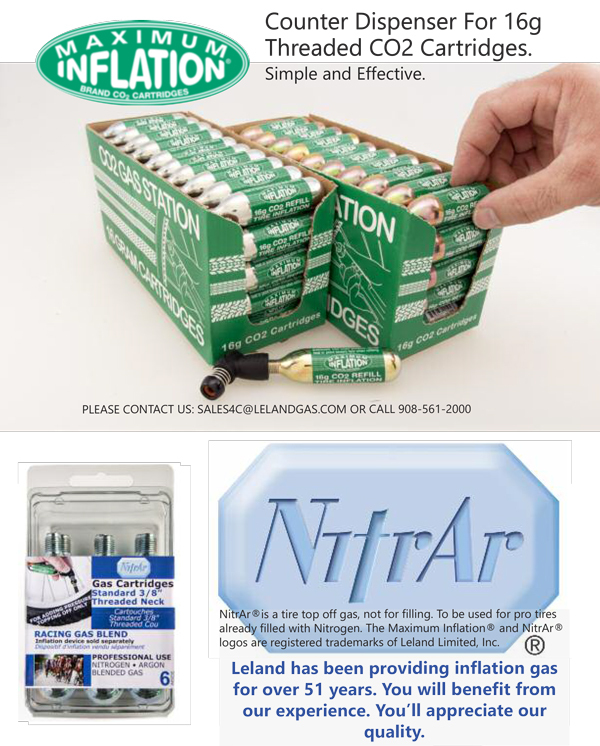 South Plainfield, NJ - Leland announces a new gas filled cylinder product called Ultra High Pressure (UHP). Filling pressures of many disposable gas cylinders can now be raised to 60mpa (8700 psi) through new techniques pioneered at NTG’s prominent Tsuga Research Factory in Japan. Now, in full scale production, these UHP charged cylinders can offer unique solutions for applications where space was at a premium or where cold conditions prevented the use of a liquefiable vapor such as CO2. In fact, now, you can get CO2 expansion equivalency from Nitrogen, Helium or Argon charges. Like their lower pressure counterparts, the UHP cylinders are welded closed which provide zero leakage, an incredible advantage over refillable cylinders. This new field of UHP cylinders has been ongoing since making airbag cylinders for a prominent SUV manufacturer. Only qualified applications can use such UHP filled cylinders as the risk is significantly greater. For more information, please CONTACT us and someone from the Leland Tech Team will assist you. It can happen to anyone. You leave a cylinder on a work table and the heat from a halogen desk lamp heats up the cylinder...POW! the internal pressure builds and builds until the side walls of the cylinder have no choice but to release the pressure. This is called a ‘rupture’ of the side wall, and it is quite dangerous, as the release of energy is significant. 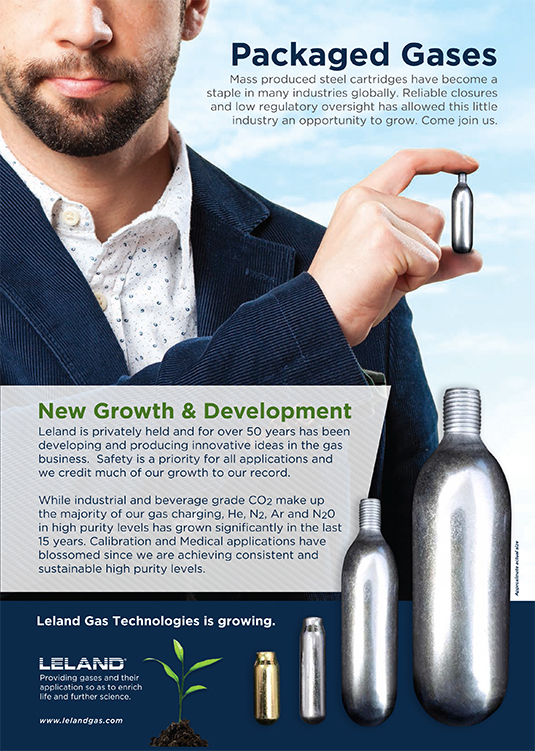 For a common 12g CO2 cylinder for paintball and airguns, Leland now provides the only cylinder in the industry with a patented safety sealing cap. Instead of a violent side wall rupture, the safety cap, which is integral to the puncture surface, is designed to release the unwanted high pressure in a safe and controlled fashion. More information about cylinder safety and transportation can be found on the MAIN menu. MrFizz.com helped launch the Leland CO2 PicnicTap®! NASCAR fans drive sales! Leland Gas Technologies brings racing fans the ability to draft their favorite beer with CO2 right at their tailgate in a single compact portable unit…the Leland CO2 PicnicTap®. 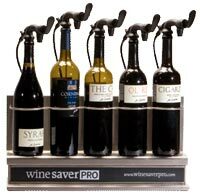 This all in one unit attaches to all size kegs and gets you drafting in seconds using pure beverage grade CO2. Keg beer doesn't have preservatives, so pushing air into it with a hand pump only forces out the carbonation making it go flat in no time. Air also contains bacteria which is bad for beer. Every bar in America uses CO2 to dispense draft beer and since Leland makes CO2 cylinders and regulators, this portable drafting product was born. The unique feature of this draft dispenser is that the regulator, with single point adjustment, is built right on to the unit. There is no complicated set up. 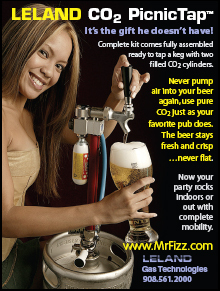 All you do is screw in a CO2 TapGas® cylinder, open the faucet and enjoy the best tasting beer you ever had. You adjust the amount of foam by regulating the pressure on the single point adjustment knob. There is even a calibrated pressure gauge so you know right where you're at. At $9.95, one CO2 TapGas® cylinder is enough to preserve and push out a full sized half keg when it's warm out. If you're in a cold climate, you'll need two cylinders because CO2 doesn't expand as much in cold weather. Even so, there is nothing worse than a flat glass of beer and with the Leland CO2 PicnicTap® that just won't happen. No wasted beer and the party goes on long after the final lap. Track fans will be sure to pit in your area once they see your set up. The CO2 TapGas® cylinders are easy to find at beer retailers or you can contact Leland and they'll make sure the UPS driver drops off the gas in time for your next race. The entire Leland CO2 PicnicTap® comes in a grab-n-go suitcase fully assembled with (2) CO2 TapGas® cylinders for $229.00.